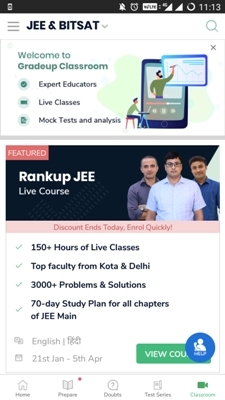 Gradeup has launched Rankup JEE: A 70-Day Score Booster course. It is a comprehensive course designed to improve the performance of students in JEE Main April exam. 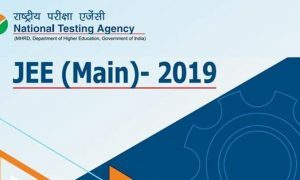 From this year onwards, students will get two attempts for JEE Main in January and again in April. 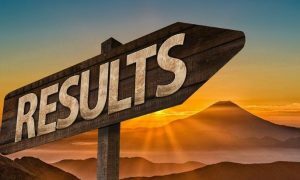 The best score out of the two exams will be considered as the final one. Gradeup has created a course that focuses on intensive preparation over the 70-day interval between the 2 attempts, thereby improving scores and boosting the final rank attained by aspirants. The integrated course created by Gradeup offers collaborative preparation, wherein students learn from their experiences in January and score better in JEE Main 2019 to be conducted in April. Based on engagement and personalised learning, the programme focuses on activities like live courses, mock tests, previous years’ papers and open discussions which cover all the concepts in an interesting, easy-to-retain manner. The course has been designed by industry veterans from Kota and Delhi who have extensive experience in coaching JEE aspirants and helping them attain desired results. According to Gradeup, this course can boost a student’s overall result by 50-70 marks. 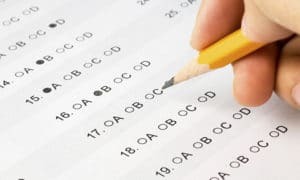 “The JEE Main is a challenging exam and each moment of preparation is crucial. Within this course we will chart out every day and every hour of preparation time, and allow students to efficiently streamline these 70 days that can change their lives,” he added. Rankup JEE is a part of Gradeup’s new ‘Classroom’ category through which it offers comprehensive classroom style preparation courses. Through this approach, it offers a highly comprehensive learning experience to aspirants. The method encompasses preparation through interactive live videos that are conducted by expert teachers with years of experience. It also includes especially designed day-wise study plans that include quizzes, mock tests and more. This method simplifies preparation and facilitates easy resolution of doubts.